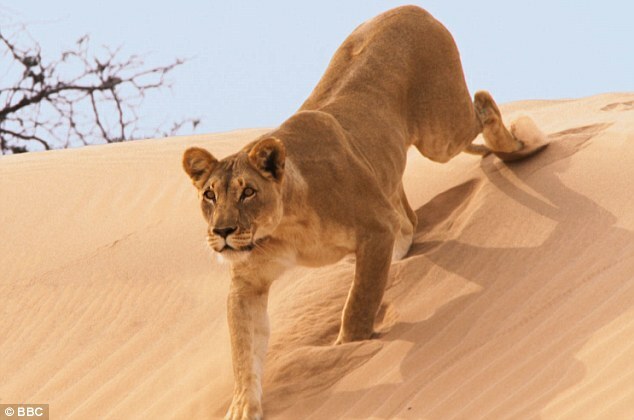 Suspense grew as the lioness sprang into action and sprinted across the river bed, closing it on the giraffe. As it was chased towards the open ground it ran in to the leader of the pride, who had been waiting patiently to strike. 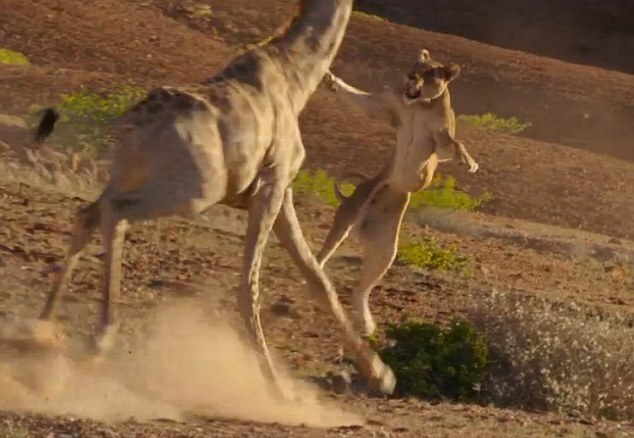 The big cat leapt ferociously onto its prey and it looked like dinner was about to be served. But surprisingly it was not to be the case !! !